The next school holidays are just around the corner and Camelot on Ulster is the perfect place the base yourself for family trip to Hamilton. 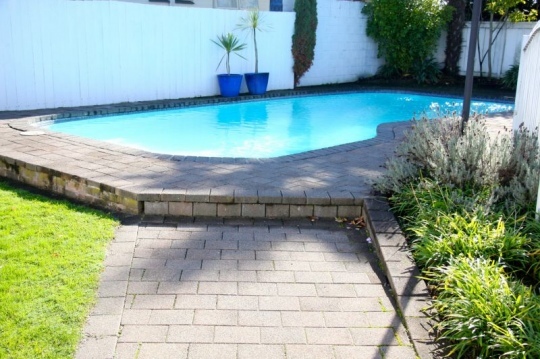 Location is key when deciding your choice in accommodation these school holidays, situated on the popular Motel Mile, Camelot on Ulster is located close to Hamilton CBD, Shops, Sporting and event venues. The next school holidays are from September 26 to October 10. Perfect for families is the spacious three bedroom apartment at Camelot on Ulster. “It is also great for larger families on transfer or those looking to stay longer term,” says Alix Stevens who runs the operational management of Camelot on Ulster with her fiancé,” Mark Boe. This apartment features three separate bedrooms from the lounge and dining area. In the first bedroom there is a king bed and in the second and third bedrooms there are two single beds. 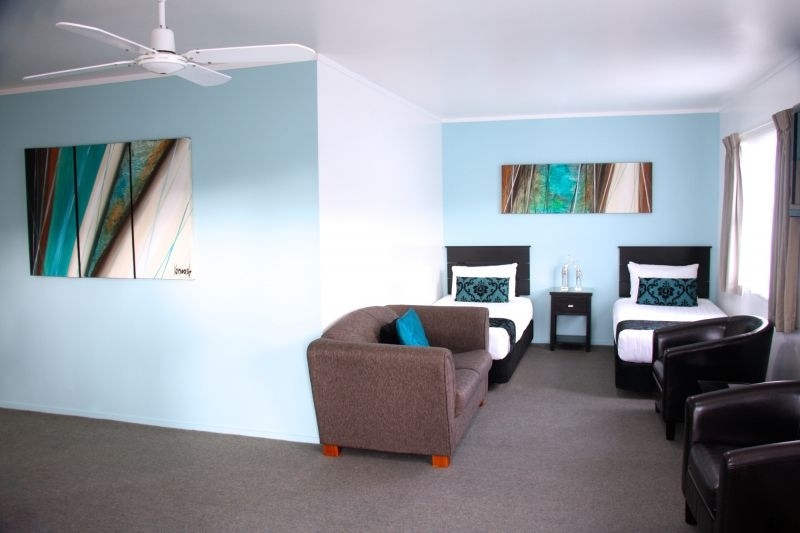 The lounge area has a three-seater foldout sofa and plenty of tub chairs for all the family to relax in after a full day of Waikato activities. The fully equipped kitchen which includes a full sized oven and stove, microwave and full fridge / freezer, “This allows you and your guests to cook any of your favourite dishes whilst you are away from home, it also has a large round dining table seats up to six people,” adds Alix. This apartment has the latest Panasonic heat-pump and air-conditioning unit to keep you cosy and warm in winter or cool in summer. 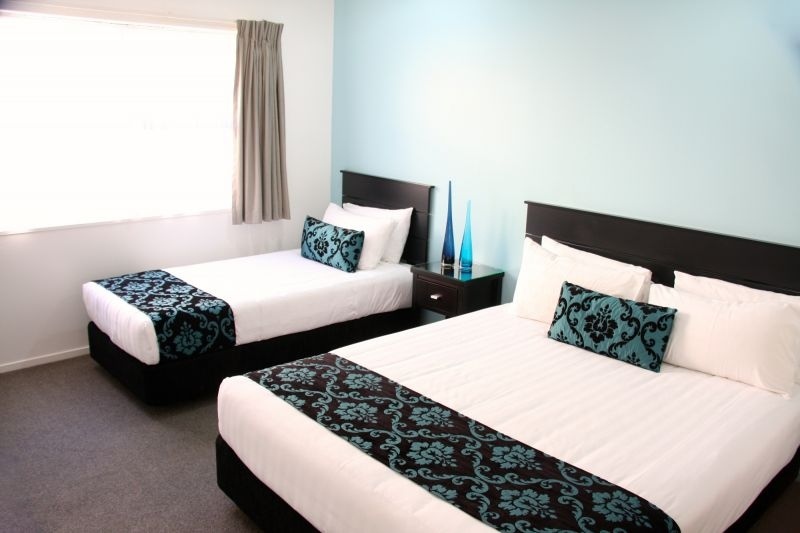 Camelot on Ulster takes great pride in keeping rooms comfortable and modernised for their guests’ living comfort and they go the extra mile in providing you with expert local knowledge on things to see and do for families in the Waikato. The team at Camelot Ulster Motel on Ulster Street Hamilton offers friendly service for all guests and would be delighted to have you stay.